Online shopping is popular. Not only has online shopping become a life saver when it comes to purchasing gifts for those overseas but we are also making online purchases for those at home. Sometimes those online bargains are just too good to refuse and other times we just don’t have the time to get out to the shops. Many websites specify a cut-off date to order your gifts to ensure those gifts reach their designated address by no later than Christmas day. Look out for that all important word ‘guarantee’ on the website. If the website states that they will ‘guarantee’ that your gift will be delivered by no later than Christmas day, there is a legal obligation that the online store follows through with its promise. What can you do if the gift you ordered before Christmas has still not been delivered? The first port-of-call is to contact the store and explain the situation. From personal experience, online stores are quick to act on complaints from their customers and tend to compensate you accordingly because they want to maintain the reputation of the store, however there are those annoying few that will not. Basically, online shopping involves entering into a contract for the purchase of a product at a specified cost in accordance with specific Terms & Conditions (make sure you read these!). If either the purchaser or the seller fails to comply with the contract they are considered to be in breach of the contract. Court proceedings may be commenced to claim damages for breach of the contract. If you have experienced substantial disappointment as a result of online shopping, do not disregard it. An online purchase contract is like any other contract and you may be entitled to be compensated for your loss. 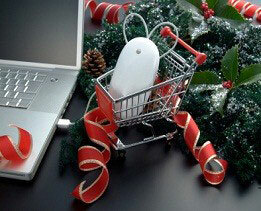 Don’t let one bad experience hinder your online shopping experience! Moreover, be sure you are familiar with the tips and traps of online shopping to avoid needing to explain to your family members next Christmas that their gift is ‘in the mail’.